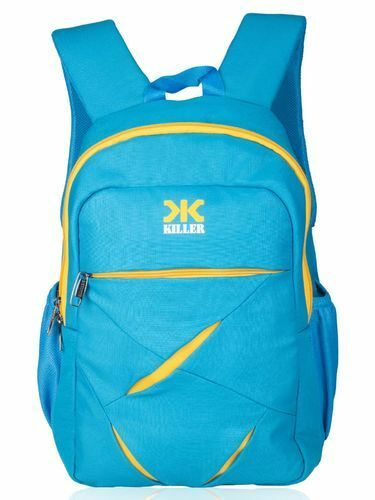 Zippered Backpacks Use this as regular daypack or carry your laptop to college and office, this stylish Killer Laptop backpack is ideal for all age group, trendy design yet elegant look. A stylish and versatile backpack for students carrying heavy loads. This heavy-duty bag, available in a multitude of colors, features one large compartments perfect for storing and toting large items like books, binders, and your laptop computer, a front pocket for your easy access items like mobile phone and small gadgets etc. The Lister Laptop Backpack is durable, ergonomically-designed bag with a fully padded back panel and padded shoulder straps which allow you to carry your essentials comfortably.